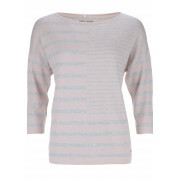 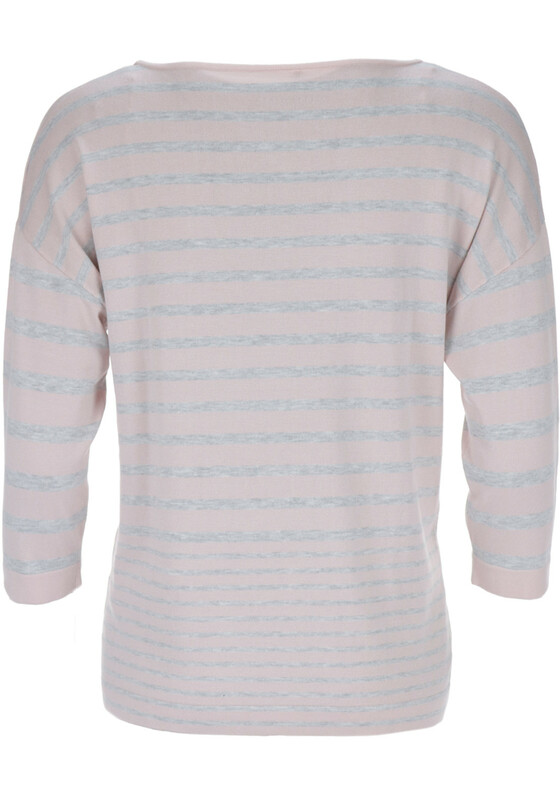 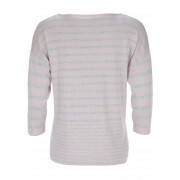 Gerry Weber presents an attractive knitwear jumper in stunning shades of pastel pink and grey. 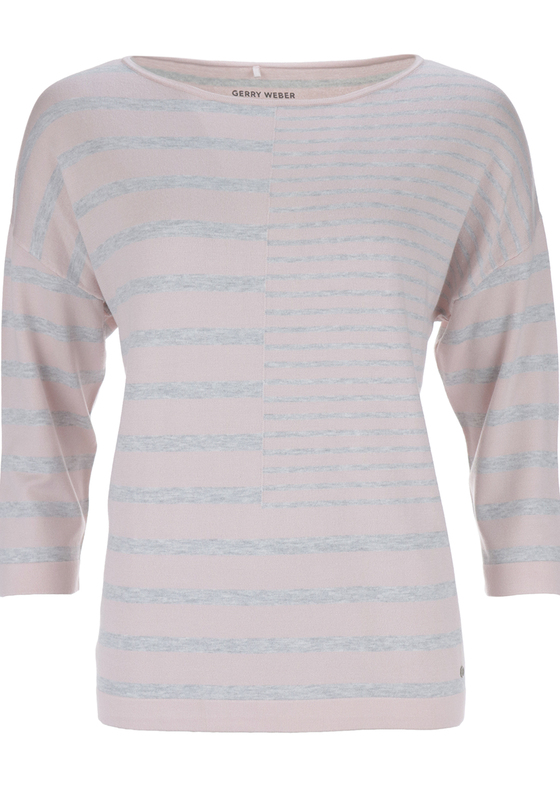 Crafted from a blended yarn that will feel super soft against the skin. 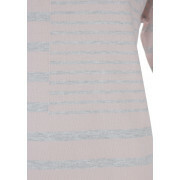 Featuring a bateau neckline and panelled striped pattern throughout. 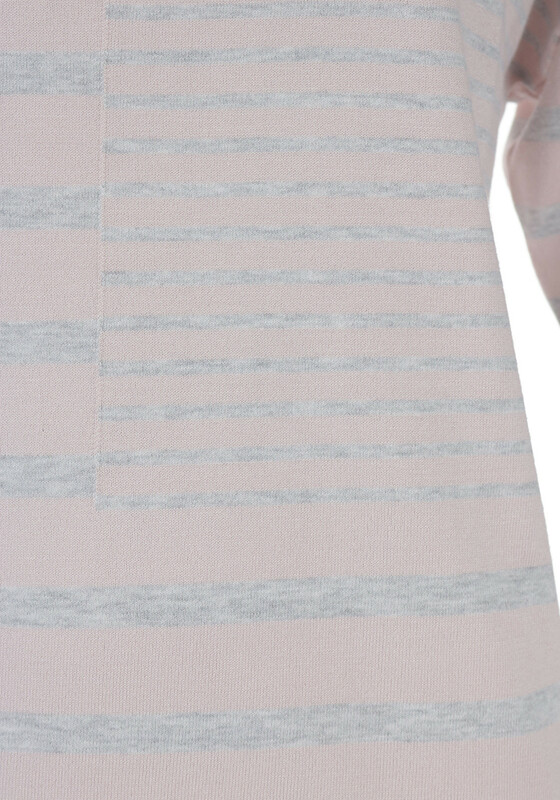 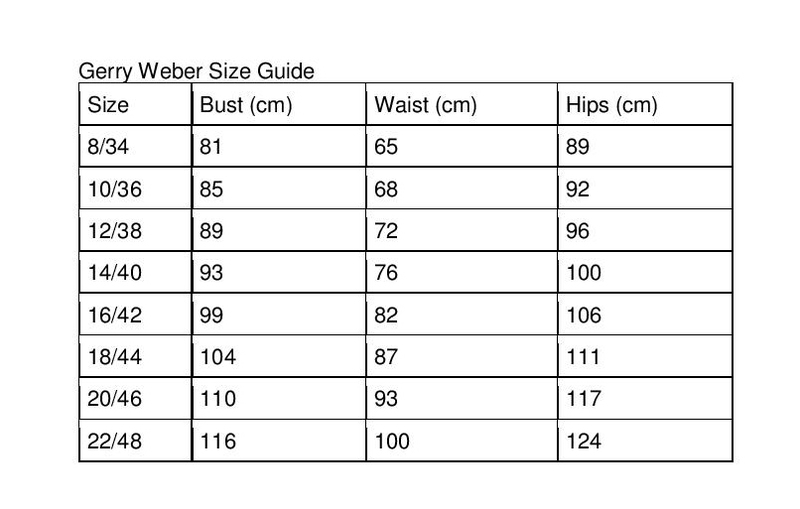 Also features a turned up hem.